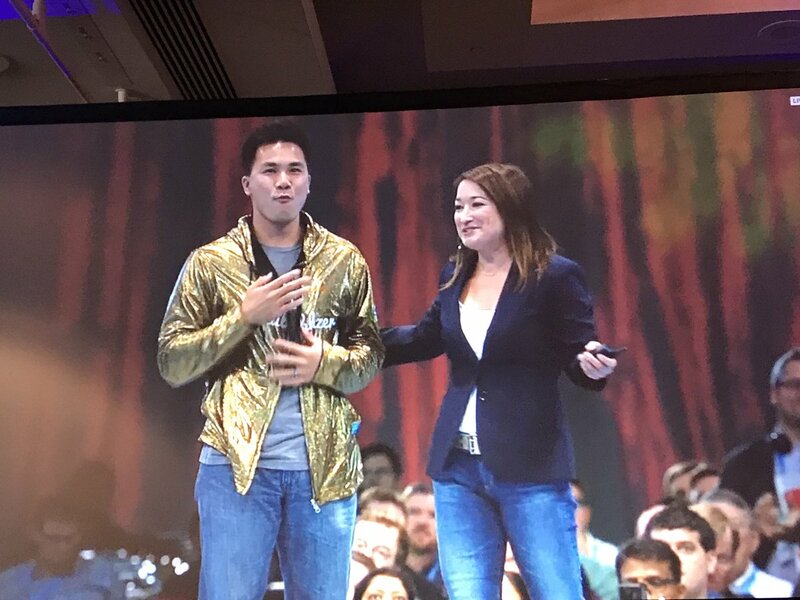 In the Developer Keynote, I was awarded the first ever Developer Golden Hoodie! It was the proudest moment of my career and there is nothing more I will ever ask for. When everything finally sank in, I cried. Never in a million years did I imagine myself ever wearing this hoodie. If you had told me just a few years ago that I’d create SFDC99 and win awards from Salesforce, I would have laughed. That can’t be me – I’m just an ordinary guy. I’ve always been an ordinary guy and I still am. Somehow, this ordinary guy achieved a dream by chasing it with childlike belief. And if I could do it, I believe that you can too. Thank you my heroes, Dan Appleman and Jason Venable – I’m only here because they inspired me. None of this would have happened without them. And now, I’m just passing it on. And also, thank you to the Salesforce Developers team for making it so special. I had no idea! To everyone who has ever read SFDC99, thank you for your support and thank you for dreaming. Dreaming is the first step of an incredible journey. I hope you achieve your dreams and pass it on too. P.S. I’m going to have a special, limited edition giveaway to celebrate =) Stay tuned! Excellent and well deserved….You look cool with that hoodie man! Wish you well and thank you for giving us the tools to help us succeed…The rest is up to us! wow. Many Congrats David :) You deserved it bro. Congratulations and thank you for all that you do to help myself and others. Glad to see credit was given where it is due! Couldn’t have happened to a more deserving dreamer! Enjoy your moment! Couldn’t have happened to a nicer, more deserving guy. Congratulations! Congratulations! It was well deserved, thank you for all your hard work! Congrats, David! Thanks for creating SFDC99! You are inspirational! You are awesome bro! Congrats! No words to express David, Congratulation. inspiring millions of people like me. Well deserved and keep up the good work..
You Deserve this Man, you have been an instrumental key player in shaping up the careers of millions of young folks like us. Congratulations David. This is really amazing. So Happy for you. You are truly an inspiration. Keep Dreaming.!!! Congratulations David, you inspired a lot of folks..
Well deserved , David !!! It was awesome meeting you at Dreamforce . No Doubt, You are the one who deserves it!! .Congratulations on the present and upcoming successes. Congratulations David! Well deserved, and quietly look forward to reading more blogs/articles from you and SFDC99. 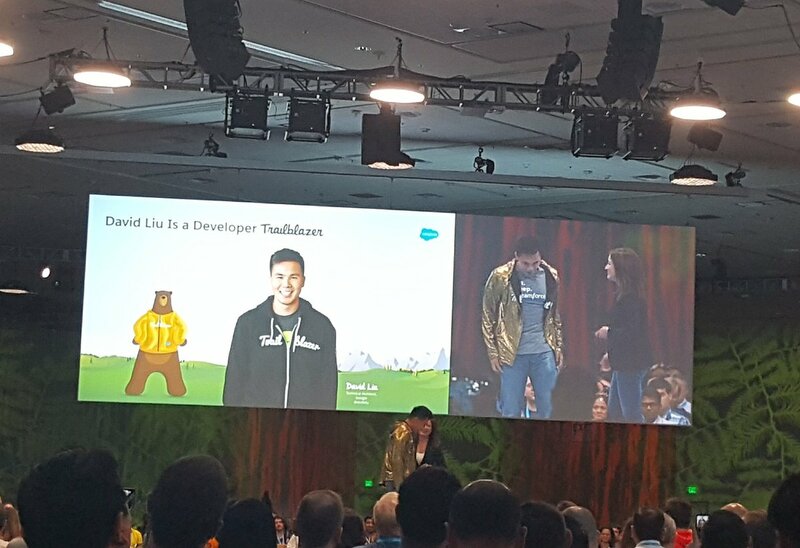 I am glad Salesforce finally recognized you for the hard work you do for all of us, and that the award really means something to you! Very Well Deserved! Congratulations David! It was great to see you get awarded and the chance to meet you! All the very best for the new beginning coming soon in the life! Seems like Salesforce is finally getting their act together! About time they gave you a Golden Hoodie! You’re an inspiration, David – to me… to all of us. May we all be like David Liu. Congrats David! 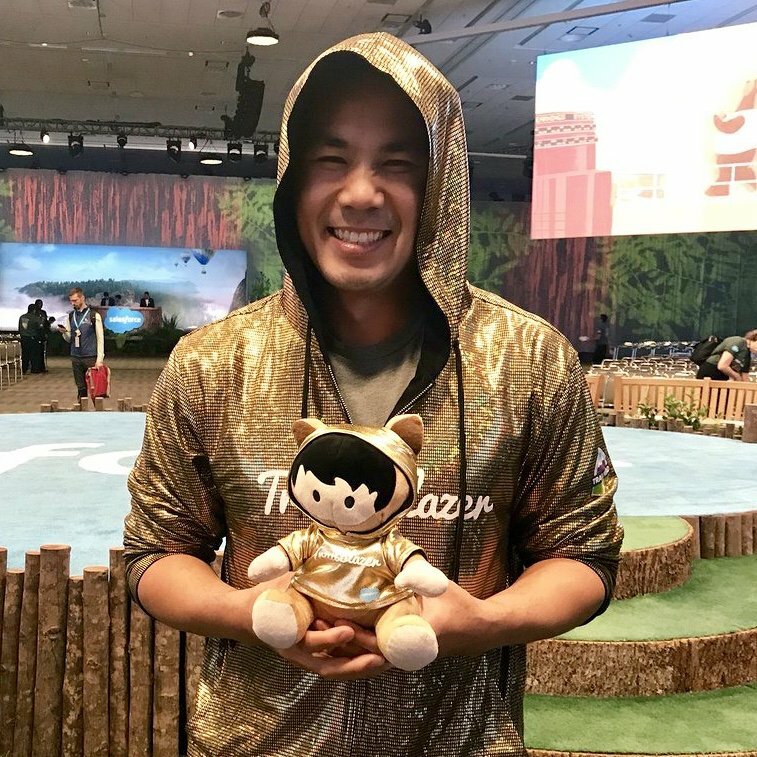 It was nice meeting you again at Dreamforce! Can’t wait til the next time you come to the Philly area. You’re an inspiration for all!! The moment I heard this .. I was very happy.. David you have done enough to win this. True motivator in Salesforce community. OMG!! David!! If anyone in the world deserves the first ever Golden Developer Hoodie it is YOU!!!!!!!!!!! I am forever grateful for all you have done for me and for the community!